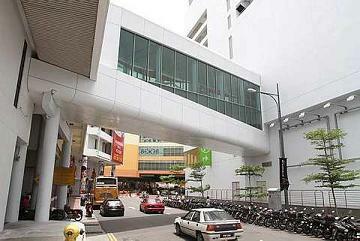 The Penang government will adopt the Business Improvement District Scheme (BIDs) to rejuvenate the inner city. State Local Government and Traffic Management Committee chairman Chow Kon Yeow said the scheme was popular in many countries but would be the first for the state. “BIDs will turn Kompleks Tun Abdul Razak (Komtar) and its surrounding area into a premier shopping destination and a bustling cultural, business and social centre. “We are looking into enhancing connectivity between the commercial enterprises there by eventually linking Komtar to shops along Macalister Road, Campbell Street and Kimberly Street with underpasses and walkways. “The first phase will be to connect Komtar to Gama and Berjaya Times Square,” he said, adding that BIDs was about creating a safer, more comfortable environment while improving commercial activities to make the place more vibrant. Chow said a BIDs committee chaired by Penang Development Corporation (PDC) general manager Datuk Rosli Jaafar was set up last September and the project is spearheaded by Think City Sdn Bhd and Khazanah Nasional Bhd. He said everything was still in the conceptual stage. Chow was speaking to reporters after opening two link bridges connecting 1st Avenue to Prangin Mall and Komtar yesterday. On Komtar’s final phase, Rosli said the immediate plan was to clear the area of dilapidated buildings before work could start. “We have received proposals for boutique hotels and arts and craft trades. “We want commercial development that’s compatible with the heritage value of the place,” he said, adding that there would also be an urban park for the public. After holidaying in Thailand,I decided to take a trip to Penang, for the food. On arrival at Penang Airport, I had to 'purchase a ticket for a taxi' to my hotel in Penang road. The 'taxi' I was virtually forced to take, was no more than a 'family ca' by day being used as a 'taxi' by night. The condition of this vehicle was disgusting and cost RM$44! What a rip off! I felt dirty after the ride in the taxi, one reason being that the vehicle was not airconditioned, or if so, was not used 'taxi sapu' standard (RM$44?????????). Is this how to greet tourists? I would expect this standard in a third world country, but did not expect to have to endure such discomfort in Malaysia. After an airconditioned flight from Bangkok to Penang, believe me, when one is tired and the hour is late, one does NOT expect to endure the discomfort of high temperature and humidity once out of the airport, in transit to holiday lodgings. I would like to know why registered, metered taxiis are NOT PERMITTED to pick up fares at the Penang airport. Also, I'm told it would only cost RM$35 for the same distance in an airconditoned, registered and clean taxi. I also notice these registered taxiis are driven by mainly Chinese and a hand full of Indian and Malay drivers; is this why they are banned from having a taxi stand at airport? Penang airport transport is pathetic compared to Thailand; their airport and airport transport system is one they can be proud of, as travellers have choices of transport such as Taxis, Aiport Link (rail), or Coaches, and they are all clean and airconditioned. Transport and Tourism Ministers, is this really the standard you present to welcome the tourist/traveller to your country? On the other hand, you are to be commended for the MPPP bus service. Thumbs up to the HOP ON HOP OFF MPPP Bus. Now follow through and reap the rewards of some well-spent investment expenditure to service the transport to/from the biggest doorway into your gem of an Island! Ahh, Penang; where the food of all cultures is to die for! Ur moniker itself speaks volumes of ur seriously impaired, clouded judgement of Penang. Just by jetsetting around the region (or maybe the world), and thinking u've seen the "best" of Thailand, are u're spot-on to pass degrading judgements on Penang's treatment of her tourists & visitors? 4. Hot, humid conditions greeting u outside Pg airport. Hmm..what do u prefer? Snowy? Blizzard? European climate? Snap outta ur globetrotter paradigm, buddy. I bet Thailand airport looks pretty classy when the Red or Yellow armies leave their individual signatures there, don't u think? What I endured on ariving at Penang airport was discusting compared to my arivial at Suvarnabhumi Airport (and I am NOT talking about how pretty the airports is); you are missing the point here; "A REGISTERED, METERED TAXI FAR BETTER THAN SAPU STANDARD" Do you really care how you welcome the tourist to your country or are you merely interested in ripping them off? For your information, my flight got in at 10pm, and I am an extremely proud EXPAT from a Butterworth of forty years ago, (definitely NOT a jetsetter), and I am DISGUSTED THAT MY MOTHER COUNTRY/STATE SHOULD PRESENT ITSELF TO THE WORLD's TOURISTS, IN THIS WAY!!!!! Take the hint - make improvements in this area, and you WILL see a positive result re Tourism-generated income to the Island, where you obviously need it most! I agreed the Airport "Limousine" is a disgrace. Dare to call old run-down Proton Saga a "Limousine", what a laughable thing. Even if the Airport is undergoing renovation, there is no excuse to not do the taxi stand properly. My last trip there, had to step over wood thrown on the grounds and mess. Further disappointed by getting a lousy Proton Saga as "Limousine". This Airport Limo thing is a remnant of previous administration controlling monopoly on Penang Airport. What I suggest you to do is to get a regular taxi driver to come pick you up at the Arrivals. The new taxis given license by the new PG govt are much much more better, and some are using SUVs. Penang state govt should do all it can to get rid of these old Airport "Limo" as it is a disgrace to the state and to the country. By labeling a homosapien with a brandy tag might help to showcase the taste & status. But once wordings are burpppping out ... erm ... anyway ... welcome back to Penang, Miss PRADA. Kindly remember to call for a cab not from the airport when you wish to return to your space.